Anderson has been on the Carnegie Mellon faculty since 1978. His work combines cognitive psychology and computer science to understand how the brain works, how people learn and how computer-based instructional systems can be used as educational aids. 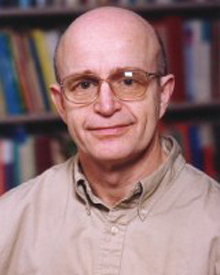 In the 1990s, Anderson led a team that created an intelligent computer tutor to teach algebra to high school students. The program actually thought like a teenager and was so successful that Carnegie Learning was spun out to develop computer tutors as a commercial product. To date, more than half a million students in 2,600 schools around the U.S. have used the tutoring software. A notable example of Anderson’s impact is the Pittsburgh Science of Learning Center (PSLC), a joint program of Carnegie Mellon and the University of Pittsburgh. The center, which will receive almost $50 million in grant support from the National Science Foundation, uses tutoring software to develop effective new means of teaching and to gather valuable information about the learning process from students in actual classrooms, not laboratory environments. The 2011 Benjamin Franklin Medals will be given at a ceremony and dinner on April 28 in Philadelphia. Previous honorees of the Franklin Institute’s prestigious awards include Albert Einstein, Thomas Edison, Frank Lloyd Wright, Marie and Pierre Curie, Orville Wright, Jane Goodall and Allen Newell, the late CMU professor and one of Anderson’s mentors. Pictured above is John R. Anderson.